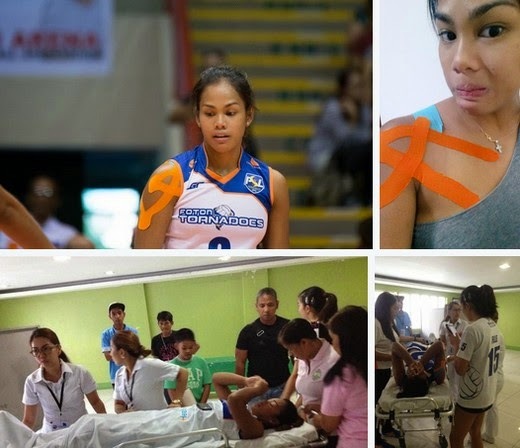 Tweet Scoop: Let's all pray for for Dzi Gervacio as she went down awkwardly on the floor in the 2nd set of Foton's game against Philips Gold at the Cuneta Astrodome. Initial reports say that it's a left knee injury. Dzi even said while she was about to be rushed to Medical City that "Bumigay yung tuhod ko." Hoping that it's just a minor injury.